Team Mexico have taken out today’s Painkiller Cup, one of the more exotic races on the annual calendar. Held in the Caribbean paradise of the British Virgin Islands, the Painkiller Cup is a three-a-side relay covering 14 miles. 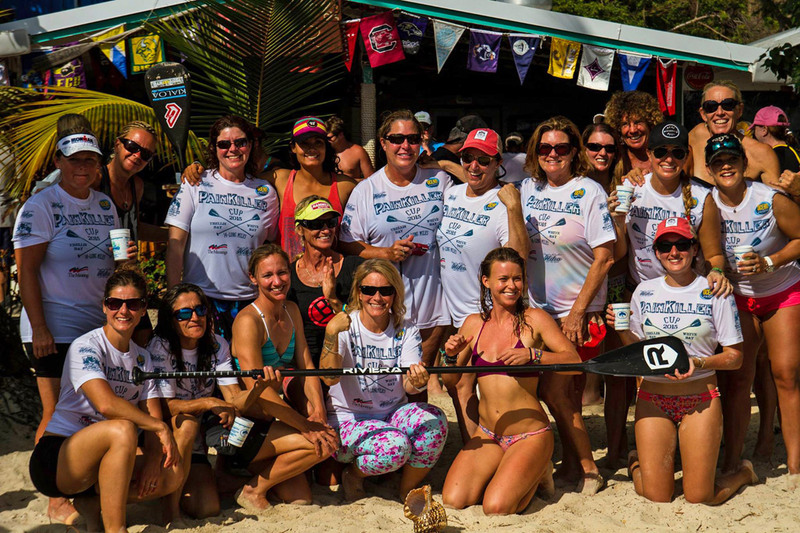 The race starts at Trellis Bay on “Beef Island” and finishes on the isle of Jost Van Dyke at the Soggy Dollar Bar (Google Maps). 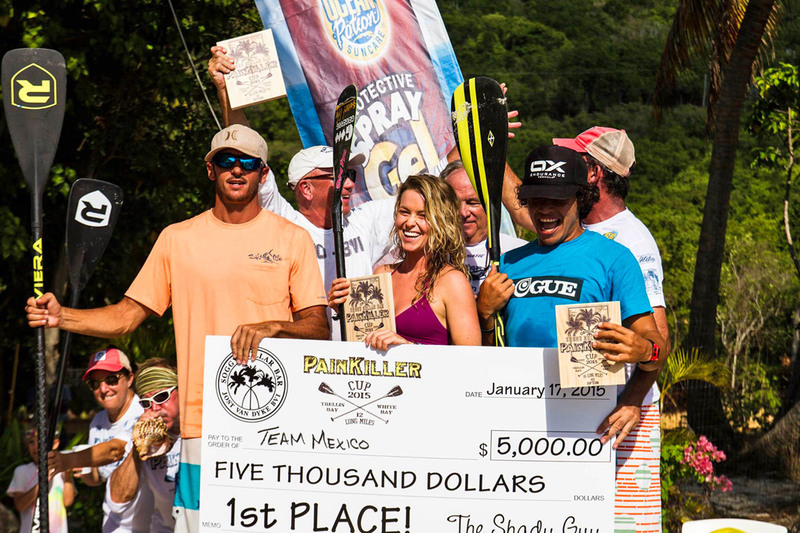 The victorious Team Mexico, who walked away with the $5,000 prize, was an all-Sayulita affair: Ryan Helm, Shelby Dela Rosa Taylor and Javier ‘Bicho’ Jimenez were too strong for the other dozen odd teams, leading the race from start to finish. 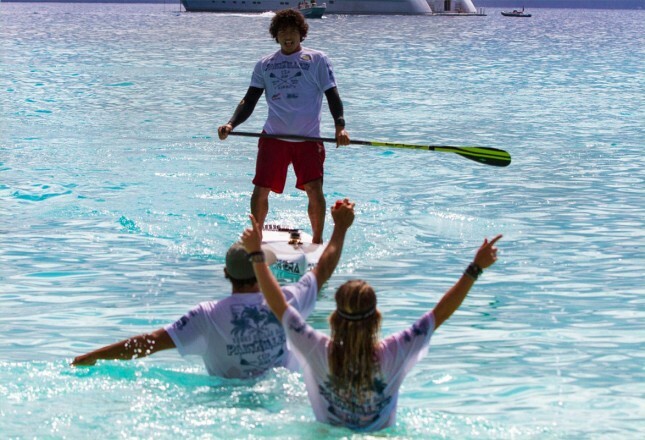 The runners-up today were led by the much closer-to-home Bill Kraft, who hails from the nearby island of St. Croix and famously went down in SUPracer.com folklore as the “local guy” in one of our results posts a couple of years ago. 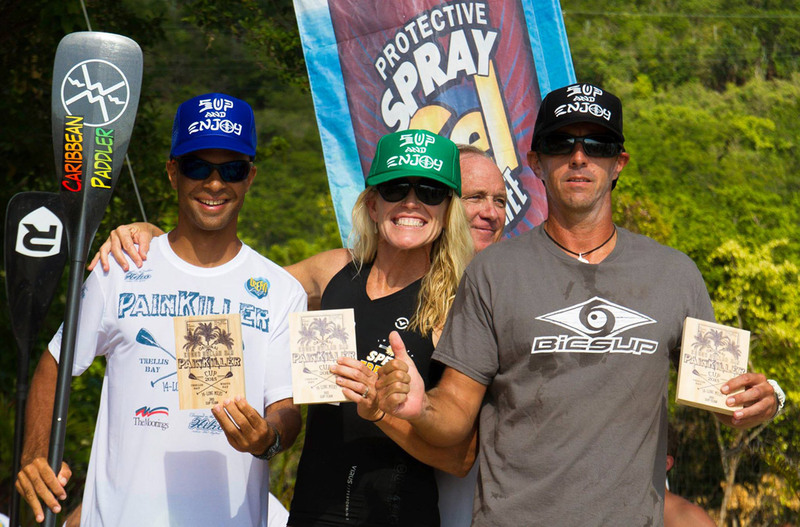 The third team over the line consisted of a couple of other Caribbean locals, Franck Fifils and Romu Mam along with everyone’s favourite industry guru Kristin Thomas. Anyway the racing has just finished so check later for full results. Here’s a few random pics in the meantime. Pics Magi Foster. More on the official Facebook event page. Oh and to give you a better idea of where this race is held, here’s the preview clip that came out on the eve of the race. Should be some cool race footage released in the next few days.